New 2019 Subaru & Used Car Dealer in Winston Salem | Flow Subaru | Greensboro NC, Mount Airy, NC & High Point NC. Welcome to Flow Subaru of Winston-Salem located in the Triad region of North Carolina. We are continually working to offer our area customers the most modern and convenient access to useful information and satisfying service. Our clients have high expectations for the cars, and SUVs they drive, and equally high expectations about the dealership professionals who serve them. Our vehicles are widely recognized as among the best in quality, reliability, and value. 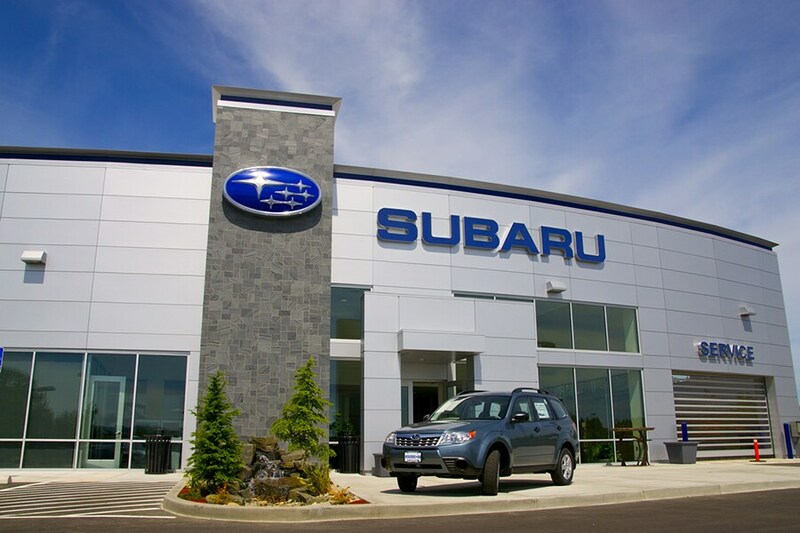 Our car dealership provides not only new Subaru and used car sales, including Subaru Certified Vehicles, but also service, parts and automobile financing. We invite you to stop by Flow Subaru located in Winston-Salem, to view and test drive any of Subaru models. Experience the pride every employee takes in the vehicles we represent and the service we provide our customers. Our experienced sales staff is eager to share their knowledge and enthusiasm with you. We encourage you to browse our online inventory of stylish AWD Subaru models like the 2019 Legacy, Outback, Impreza, Forester, Impreza, & WRX. In addition, the All-New 2019 3-row Subaru Ascent has arrived at Flow Subaru! Call us to schedule a test drive and investigate auto financing options. You can also request more information about a vehicle using our online form or by calling (336)723-3524. If you don't see a particular vehicle, click on CarFinder and complete the form. We will gladly inform you when a matching car arrives. If you'd like a see a vehicle in person, click on here for step-by-step driving instructions to our site, or give us a call. We look forward to serving you! Flow Subaru is the place to find new 2019 Subaru cars, used Subaru and pre-owned cars in Winston-Salem, NC, and the Triad region. You can search our new and used car online inventory, get new Subaru vehicle pricing and receive free no obligation price quotes. Review our latest Specials for new Subaru cars and SUVs, used cars, Subaru parts, and Subaru service and car repair. When you get ready to buy a vehicle, Flow Subaru wants to help. Each vehicle listed on our website includes detailed specs, prices, mileage, pictures, and more. Save time and money buying a vehicle through our online dealership. Good and bad credit, auto loan specialists are here to help you apply for an auto loan or Subaru lease in Winston-Salem, NC, regardless of your situation. Your local Winston-Salem Subaru team has a full service car repair facility and a full selection of Subaru auto parts. Schedule an appointment today or order your parts here if you prefer to do-it-yourself. If you want help finding your dream vehicle, our Subaru website also provides you with an expert Subaru vehicle review service. Our Certified Flow Subaru team specializes in customer service. You can contact us by phone at 336-723-3524, request information online or stop by our Winston-Salem car dealer location during normal business hours. Flow Subaru Winston-Salem, NC wants to help you with all your auto needs; so use our website to start your new Subaru or used car search today and please call for further information. Flow Subaru is the car sales and service source for the Winston-Salem NC, High Point NC, Yadkinville NC, Lexington NC, King NC and NC areas. A Subaru dealership serving Winston Salem and the nearby communities of Lexington, King and High Point, NC with new and used car sales, service, parts, and financing. We Proudly Serve Customers From High Point and All Over the Winston Salem Area.